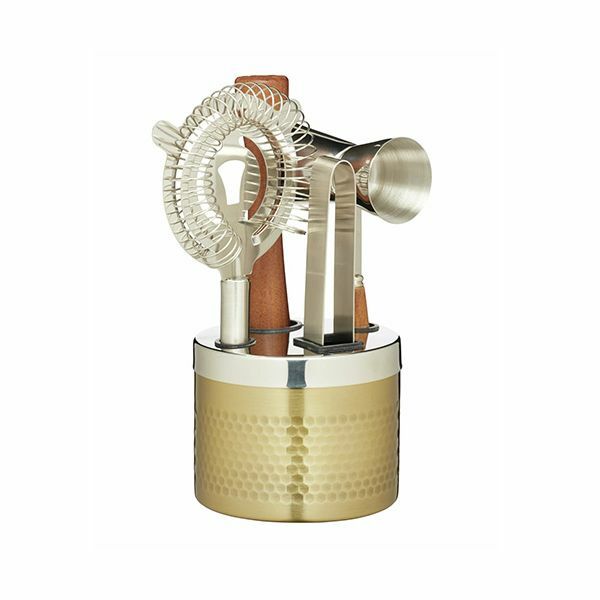 This brass finish cocktail tool stand contains a cocktail strainer, bar tongs, wooden handle double jigger and a wooden muddler. 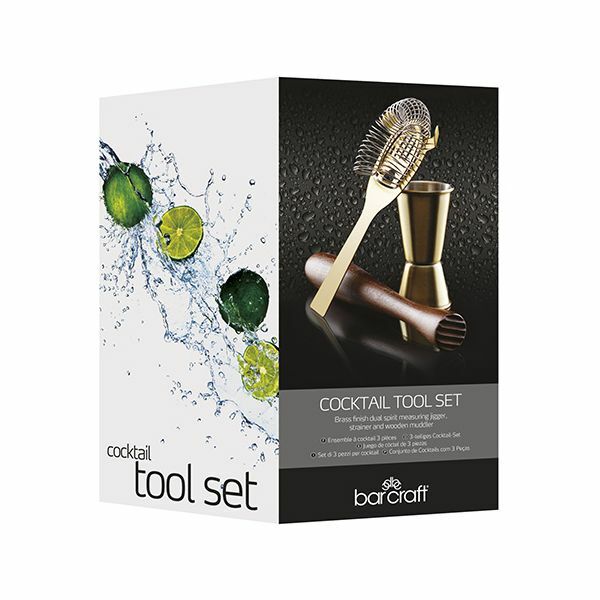 A great collection for use at home and also makes a great gift. The hammered brass finish is pleasing to the eye and is an essential for parties and entertaining.